11,866 PEOPLE SERVED & COUNTING! As most homeowners know, keeping up on home maintenance can be difficult. Even providing a little TLC to important things you pass and use every day can easily be forgotten. So what does this mean for essential parts of your home—like, say, your roof—that aren’t “used” daily and are barely noticed? It means that it’s probably not getting the inspection and maintenance it needs. Routine roof maintenance is extremely important. When roofing problems go undetected, they can quickly become costly ordeals. This is why we at Tim Leeper Roofing have put together this list of maintenance and inspection reminders. We want your roof to keep you and your home safe and secure, and we want you to have the information you need to quickly catch any issues that could jeopardize this. If your roof is leaking, ideally, you’ll catch it before it starts to affect your interior. However, when doing a roof inspection, it’s always good to first walk through your home and scan your ceiling for any signs of a potential leak. Leaks will often reveal themselves on ceilings and walls in the form of discolored, sometimes sagging water spots. Depending on the size of your home and height of your roof, you may want to begin by circling your home or finding a vantage point that allows you to get a comprehensive view of your roof and spot any unwanted debris—branches, leaves, twigs, pinecones, etc. Before climbing up on your roof, make sure that you are 100% comfortable with heights and being on top your roof. Also, be certain to have a helping hand and follow all safety measures. If you have any hesitation about carrying out your own inspection, don’t hesitate to call the professional roofing contractors at Tim Leeper Roofing. Framing your home with trees can improve privacy, create shade, and enhance the curbside appeal. However, trees that hang over the roof can also be problematic. Not only do these limbs drop debris and present a risk of falling and, thus, damaging your home, but they also attract squirrels and chipmunks that can mosey their way into your attic or chew on roof shingles. Gutters are an essential part of the integrity and function of your home. They control the flow of water, protecting your roof, walls, foundation, and landscape. Gutters backed up with debris can lead to leaky roofs and interior and exterior water damage. Additionally, when they fall into disrepair, water can back up and get under the shingles leading to roof deck decay and damage. By simply scooping out debris and flushing your gutters with a water hose, you can assure proper gutter function. While you’re up there, you may also want to consider installing gutter guards to prevent future build up. Signs of deteriorating shingles might include a lot of shingle granules or grit in your gutters and around your home; shingles may be curled, buckling, or even missing. When looking for these signs, pay particularly close attention to the valleys of your roof and the areas that get direct sunlight, since these are the regions that receive the most wear and tear. If you do notice that some of your shingles are damaged, be sure to check the firmness of the area to make sure the roof deck is not weakened. Areas around vents and chimneys are highly susceptible to leaks. If you spot a potentially problematic area, know that caulking the area is only a temporary solution. To confidently resolve the issue the entire vent should be replaced. Similarly, inspect all of the flashings along the wall, in valleys, and around protrusions. If you notice that any of it is rusted or damaged, it needs to be replaced. This is a surprisingly simple task and can be done by removing the shingles, replacing the flashing, and then covering it back up with shingles. Remember: if you need help with this, don’t hesitate to contact Tim Leeper Roofing! 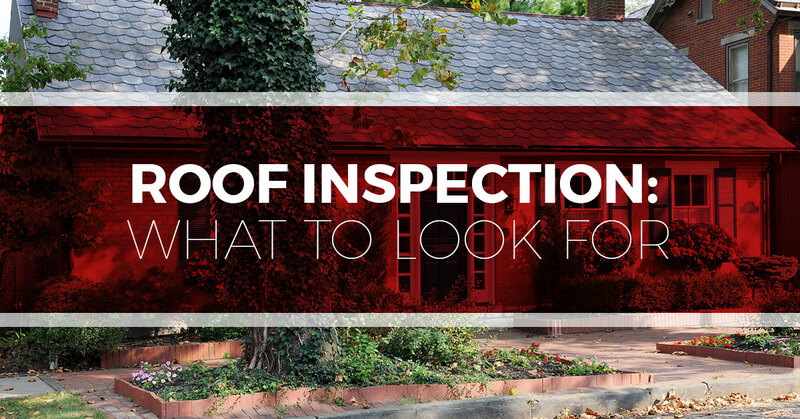 If it’s been awhile since your roof has been inspected, don’t put it off any longer. If you’re not confident carrying this out by yourself, contact Tim Leeper Roofing. We are Nashville’s Top Rated Local Roofing Contractors, and we would love to help you out. We are proud to be one of the highest rated contractors in the Middle Tennessee community. Our reputation is our most important asset. Customized solutions allow us to meet your particular roofing needs. We have years of experience and use many installation techniques to solve your roofing problems!